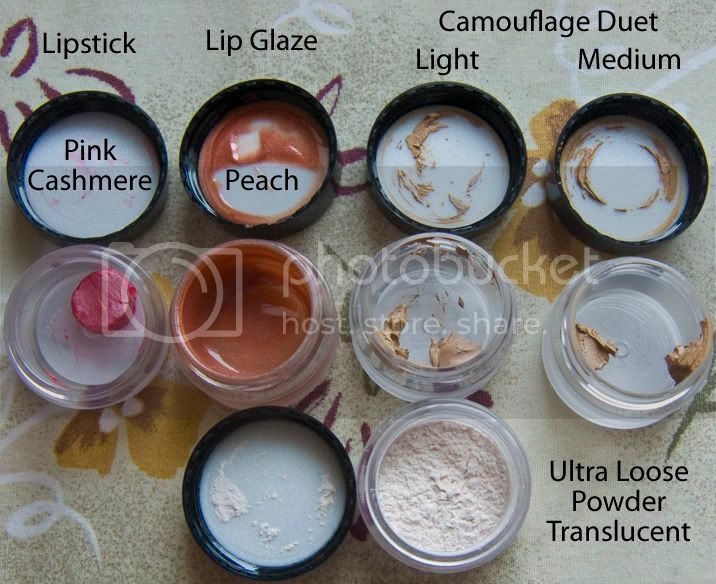 FACEatelier Samplers: Lipstick in Pink Cashmere, Lip Glaze in Peach, Ultra Camouflage Duet in Light and Medium, Ultra Loose Powder in Translucent. These are $1 samplers I got with my first order from FACEatelier. Lipstick in Pink Cashmere, this one has the soapy/waxy taste that some lipstick can get. I was longer wear about 5 hours on. Lip Glaze in Peach, it had a really nice feel wearing this most glosses last 2 hours on me and this is no exception. 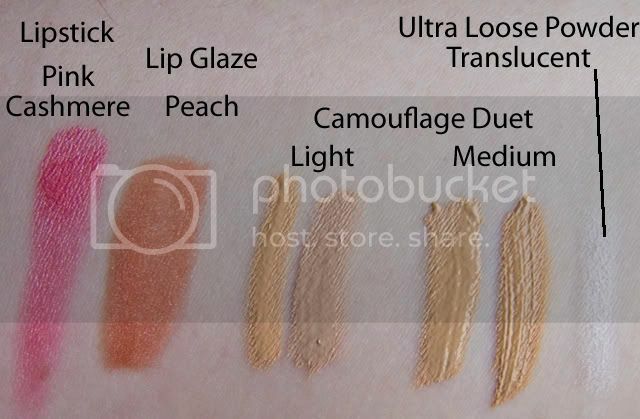 Ultra Camouflage Duet in Light and Medium, these are full coverage but they are a bit too creamy for my liking this is apparently "The silicone in the formula guarantees that it will not flake, dry or crack." which i will say likes up to those claims, It best to add this product in layer as it takes time for it to set and stop being so emollient. Ultra Loose Powder in Translucent, this does go on clear I just layered it thick for the photo, but I don't really see anything different with this setting powder but it is a matte finish. Nothing stood out for me with these products personally. Not saying that these can’t work for others but they don’t really grab me as must haves. MAC Spring Haul: swatches & reviews.